Stepping UP promotes digital literacy in subjects that enhance peoples’ work and home lives. Partnering with libraries and community training centres throughout New Zealand has created greater community outreach and outcomes. It offers 31 different topic-focused modules with each taking two hours to complete. 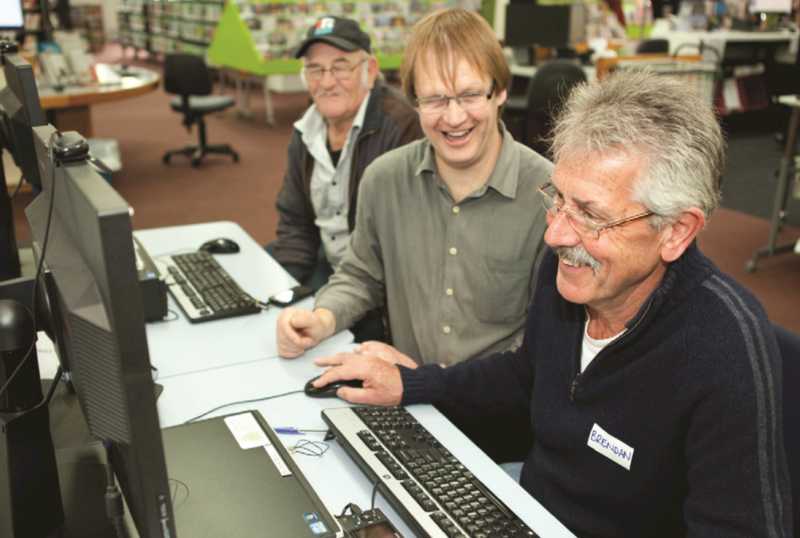 The Stepping UP programme is now being run by the Digital Inclusion Alliance Aotearoa. Read more on the Stepping UP website or scroll down for a historical summary. Stepping UP began in 2009 as a partnership between the Trust and Microsoft’s Unlimited Potential programme. Since 2012, all Computers in Homes graduates have been invited to participate in four digital steps to continue their digital learning journey. Altogether, 1,315 individuals participated in Stepping UP in 2014-15, over 850 in 2015-2016, and over 900 in the first 7 months of 2016. A participant is shown a trick on screen during a digital step session on Digital Photos at Blenheim Library. We collaborate with Public Libraries New Zealand in delivering Stepping UP and digital literacy programmes in libraries to their local communities. The programme was piloted in five Hutt City libraries in 2012. Feedback from the community was very positive so sessions are now offered every week on a ‘business-as-usual’ basis, with classes consistently being fully booked. In March 2017 Stepping UP programmes were running in 36 libraries nationwide, with more libraries joining the programme all the time. 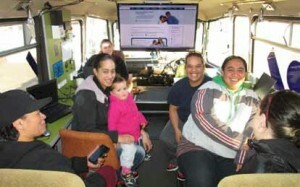 The DORA mobile digital learning centre with Stepping UP participants, at Woolston School, Christchurch. The programme was extended to community hubs in local schools in 2013, initially operating in four Lower Hutt schools: St Michael’s, Pomare, Taita and Epuni. 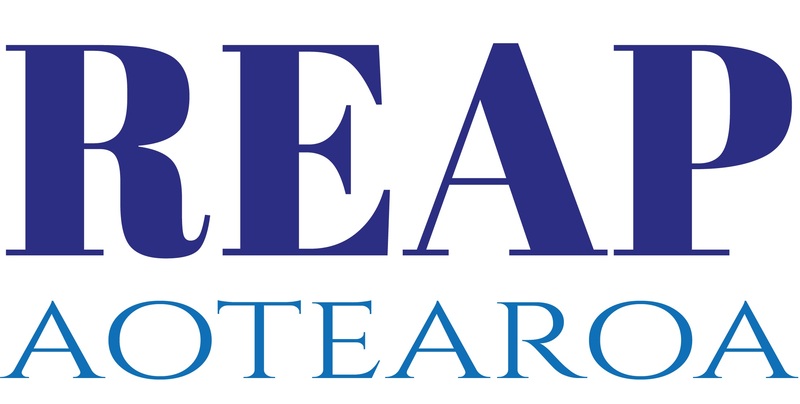 The first of these – St Michael’s – was recognised with an ACE Aotearoa ‘Commended’ Award in the 2013 Adult and Community Education Dynamic Community Learning Awards. Stepping UP is now running in 14 community hubs. DORA , our mobile digital learning centre, was launched in October 2012 and since then has been working hard with her minder (regional coordinator Sue Davidson) around the eastern suburbs of Christchurch and on the West Coast, providing Stepping UP and Computers in Homes training. Participants are asked to complete a short online survey after each module, with 4,486 modules completed in 2014/2015 across 31 training sites. Participants rank the friendliness of the instructor, having a mentor and the local venue as all being ‘extremely important’ in their enjoyment of the Stepping UP classes. Most participants go on to take more Stepping UP classes, and some go on to further education. Read more and register for courses on www.steppingup.nz. 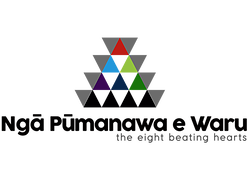 Since September 2018 the Stepping UP programme has been run by the Digital Inclusion Alliance Aotearoa. Current 20/20 programmes are linked from the very top of every page.